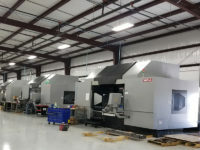 When an aging fleet of 630 mm-sized horizontal machining centers needed to be retired, Miller Welding & Machine, a Brookville, PA-based shop specializing in fabrications, had two options: replace multiple standalone machines or upgrade to a multi-pallet automation system. 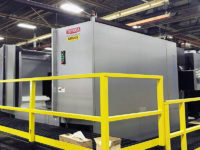 Given the plant’s experience with a buffer-type cell for another operation, Miller Welding took the automation route with Toyoda’s TIPROS FMS (flexible manufacturing system) and two FH630SX horizontal machining centers. It didn’t take long for Miller Welding to see an increase in throughput. One of the company’s executives walked past the FMS shortly after the automation cell had replaced just one of the standalone machines. He questioned why the company’s new investment was not put to good use, as the cell had already sat idle for an hour. “We said, ‘Do you realize that from 5:30 a.m., when they started running it, to 9:30 p.m., when they got done with all the work for today, that that was enough work to previously keep two machines and two shifts busy?’” It was then Miller Welding began realizing the benefits they were going to see. Moving to newer technology, Miller knew cycle times would be reduced. He also understood that the spindle utilization an automation system provided would be much higher. However, the combination of increased speed and uptime was greater than anything the plant could have anticipated. In fact, the process of transferring work from a standalone machine to Toyoda’s FMS soon had a name for itself among Miller Welding’s engineers and operators: feeding the beast. The system was so productive that the shop could not send parts to it quickly enough, Miller explained. This increased productivity proved to be beneficial in a breakdown situation on an older machine. 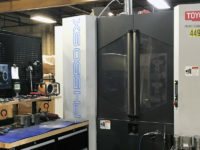 Knowing the standalone machine would be out of commission for an extended period of time, Miller Welding was easily able to move production from the down machine to the Toyoda FMS cell. With this transition, Miller Welding met the customer’s production requirement with minimal interruptions to the FMS’s regular production schedule. Within a year of installation, the FMS had 28 different parts, and more workpieces were being added to the cell every week in small quantities. This slow transition was no accident. “We wanted to do it the right way and have consistent quality and consistent expectations coming out of that cell,” Miller said. Every part that goes into the cell has gone through a routine in which the operator ensures all tooling and documentation are present. Programming for the cell is done offline. While the operator proves the program, he takes one of the FH630SXs off the cell to run in manual mode, while the other machine continues with the scheduled parts. Once the process is set, the part is introduced to the cell and its tooling is added to the second magazine. 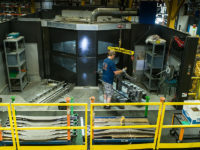 To begin the documentation process, Miller Welding’s manufacturing managers asked its operators and engineers how they could be better prepared during the machining process. By creating presentations for each workpiece with tooling and fixturing information, they could see how each part should be machined and know exactly what was expected of them. This information gave Miller Welding the ability to bring operators up to speed very quickly without sacrificing production time. 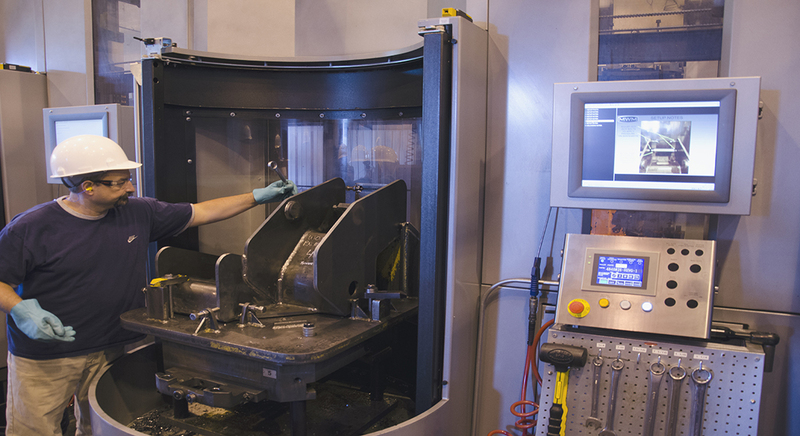 After all operators were equipped with the necessary part knowledge, it only made sense to incorporate quality control into the machining process. “We wanted the ability to standardize our processes and make certain the process controls were robust. The part’s not going to come off of that machine unless it’s right,” Miller said. Besides standardizing its tombstones and setting up tooling and pallets in a way that could easily be managed, Miller Welding began using probing. Previously, one of the plant’s major construction parts saw internal rejection rates around 10 percent. Since moving the part to the FMS eight months ago, only two parts have been rejected. Another key to Miller Welding’s success with the FMS has been the shop’s decision to appoint one person to manage the cell. At the beginning, the point man was then-shop foreman Ryan Emberg. He had the experience and skillset to make the cell successful from the start. Emberg established the layout of the cell and what the expectations and deliverables would be. All parts that went into the cell were his responsibility. Any question could be answered and any problem could be resolved by referencing just one person. But with Emberg in line to become the plant’s manufacturing manager, he needed to pass along his FMS knowledge and duties. Justin Shaw possessed a high level of technical skills, understood the importance of customers’ quality requirements, and knew Miller Welding was not a company that cut corners. With presentations and documentation readily available, it wasn’t long before Shaw took over the cell. And for Miller Welding, that direction is toward automation. In addition to the FMS, the company has 23 robotic arms, a laser stacker, and an automated paint line. The market is changing to the point where introducing human nature into these manufacturing operations is becoming unacceptable, Miller said. The use of automation eliminates human error and decreases the possibility of machining defects. For this reason, Miller finds it difficult to foresee a future for the company without automation. “Our thinking is going to have to be FMS first,” he said. 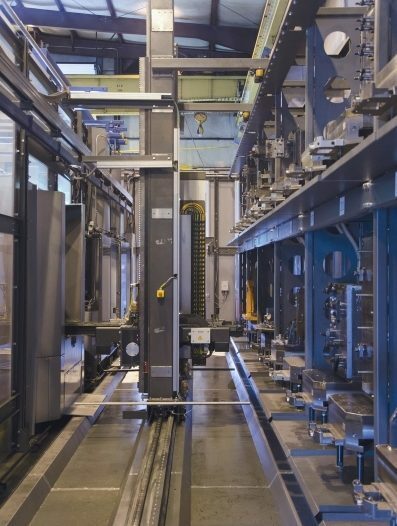 Instead of purchasing a standalone machine based on current needs, the plant will have to decide what size FMS it will need to satisfy current and future orders. This article was previously published in the April 2014 issue of Manufacturing Engineering. 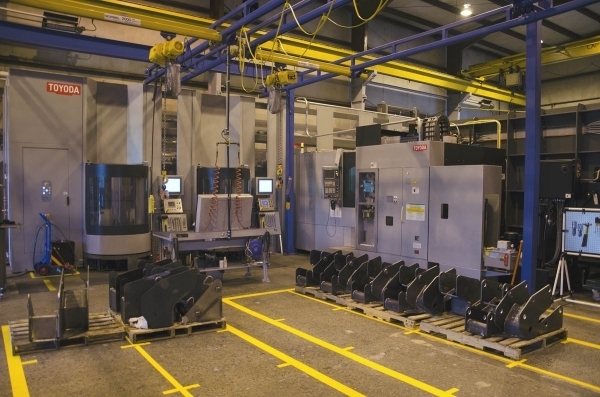 horizontal machining centers and 24 pallets. The shop has 28 different workpieces running on the FMS.